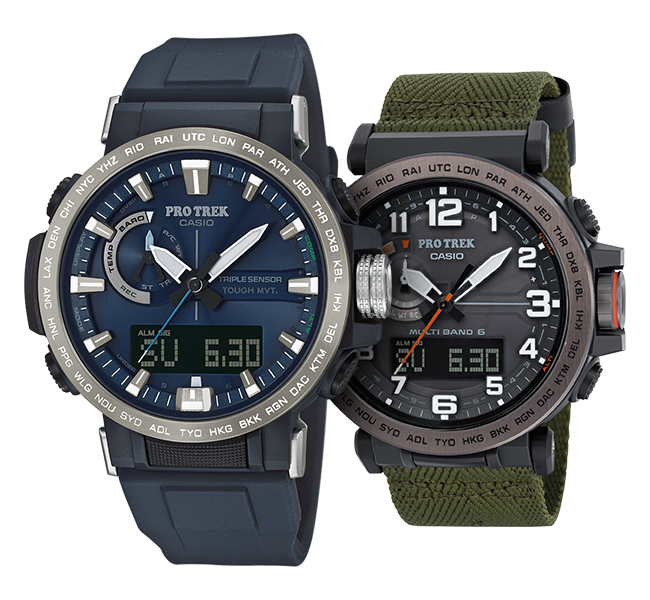 PRO TREK has been offering analogue/digital watches especially for outdoor fans for more than 20 years. The brand stands for functions such as solar operation, digital compass, barometer and thermometer. The combination of innovative technology, robust precision movement and ultra-modern design makes PRO TREK the perfect companion for all outdoor adventures. 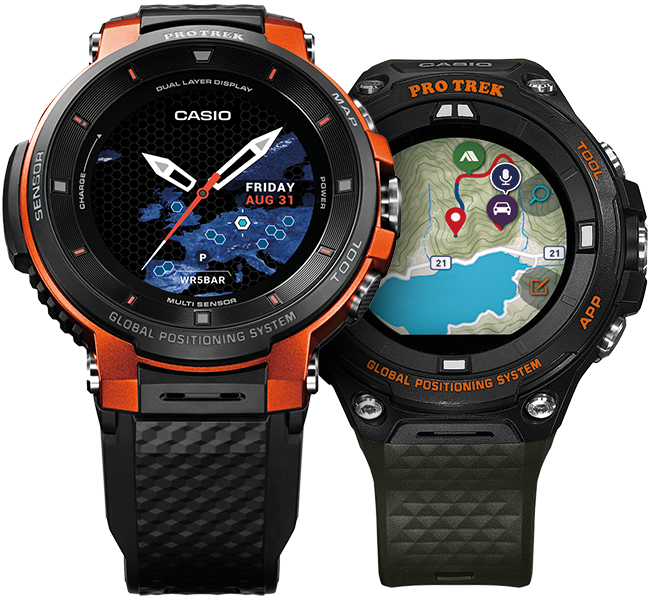 The Smartwatches of the PRO TREK Smart series are specially designed for the requirements of outdoor athletes. Functions such as altimeter, barometer, digital compass or the integrated GPS provide important data for outdoor orientation. Thanks to the open operating system Wear OS by Google, almost any number of apps can be used on the PRO TREK Smart models.